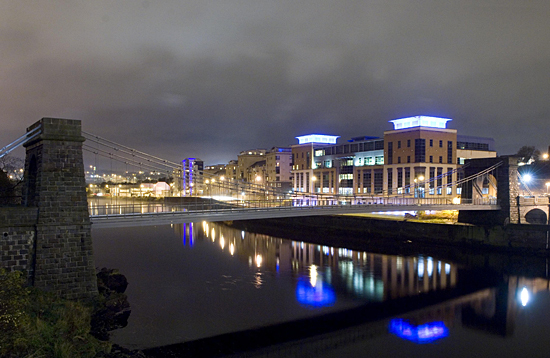 Aberdeen is Scotland’s third most populous city with a total estimated population of 218,000. It is a diverse, multicultural, student friendly city, with people from around the world coming to live, study and work there because of their position as the Oil and Gas capital of Europe. 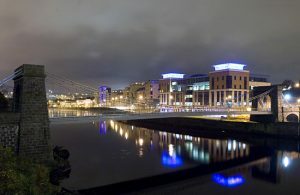 Aberdeen is affectionately known as the Granite City and the Silver City with the Golden Sands, due to the majority of its striking buildings being made of pale granite that was quarried nearby at the Hill of Rubislaw. The petroleum industry in Aberdeen began with the discovery of significant oil deposits in the North Sea during the mid 20th century. Although today’s reserves are still flowing fast, the city is successfully redeveloping itself as a research and development hub for energy. Union Square is the newest in a number of shopping and entertainment destinations in the heart of Aberdeen. Built at a cost of 250 million pounds, Union Square boasts over 60 stores and restaurants (including Apple, Zara, Hollister, Nandos and YO! Sushi), a 10 screen cinema and 203 bedroom hotel right in the heart of the city. There are also many specialist food shops within the city, where you can buy all the familiar foods from your home country. To keep you entertained, students will find lots of cafes, bars, nightclubs, cinemas, restaurants, shops and malls nearby which means although it is a small city it is packed full of things to see and do. Due to Aberdeen’s economic success, the city has its own international airport from where you can fly direct to a number of fantastic European destinations from as little as $100 return. The rail and road links are also excellent; making it easy for you to explore everything Scotland (and the UK) has to offer. The historic county of Aberdeenshire has a great diversity of scenery, including sandy beaches and stunning coastlines in the East and the moray Firth in the North. Inland are the Grampian Mountains and part of Cairngorms National Park. Students can also explore the county following Castle Trails, The Whiskey Trail and the Victorian Heritage Trail. Surfing, kayaking, mountain climbing, snowboarding and white water rafting are also within reach. Independent research of RGU international students shows Aberdeen as a safe city in which to live.